When planning for the protection and care of your exotic vehicle, be sure not to overlook the protection of your headlights. Here we offer you insight on what it is and how it protects. You can also add some tint if clear vinyl isn’t your thing. Porsche graphics come in the form of stripes, racing liveries and race numbers. For some reason, graphics are much more popular on Porsches than they are on many other marques. 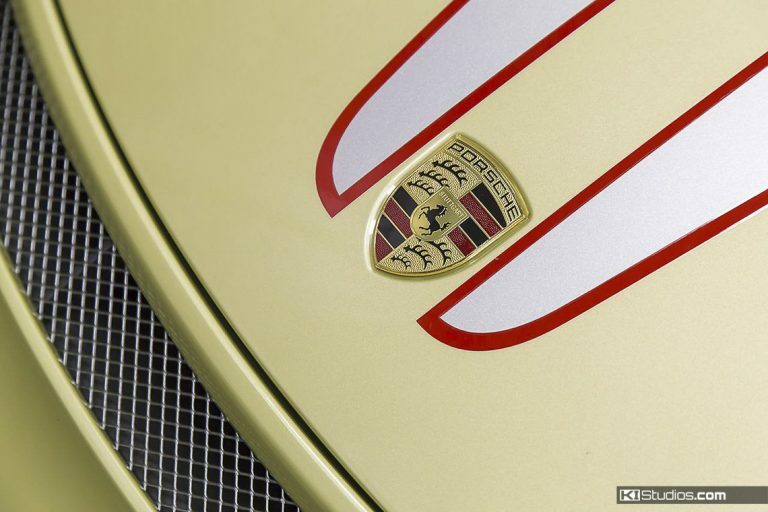 In this article we will explore some of the reasons why stripes and liveries are so much more acceptable and desirable on Porsches. We love a good original race car wrap design. 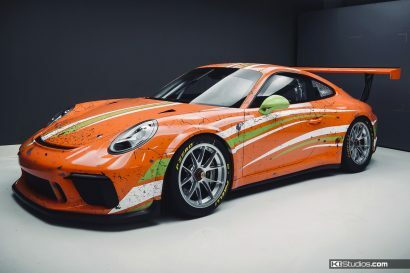 The Porsche 981 Cayman GT4 Clubsport race car featured here is a perfect example of a well-executed race car livery that stands out at any race track. The blackout trim headlight surround is our most popular product. Previously only available for 987 and 997 Porsche, now it’s also available for the Porsche 991 GT3 and GT3 RS.